A San Francisco cable car holds 60 people. This blog was viewed about 3,100 times in 2014. If it were a cable car, it would take about 52 trips to carry that many people. What is a journey if not on a Honda? 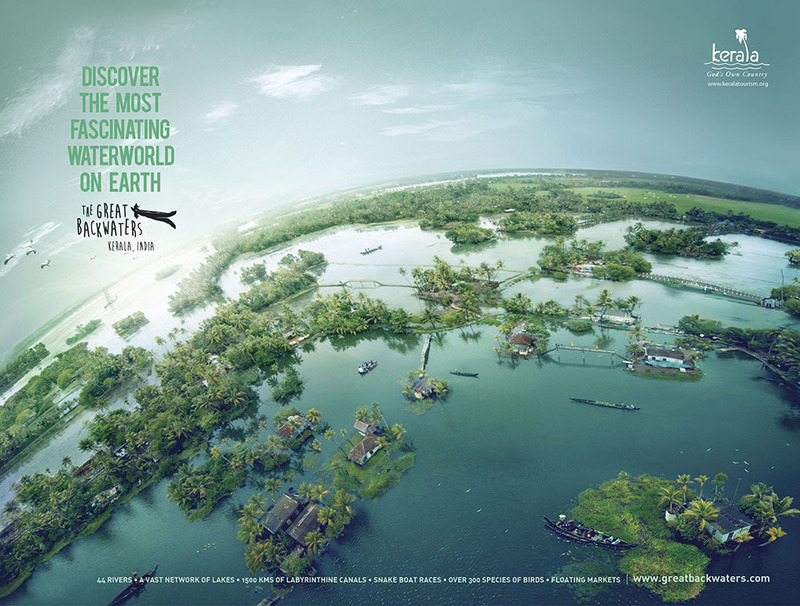 Welcome to Andhakaranazhy, translated as “the lagoon of darkness” or as “the darkness lagoon” as we would prefer, as one of those wonderful beaches which lies near the National Highway on the way to Aleppey from Cochin. Located 47 kilometres from Alwaye, 58 kilometres from the Cochin Nedumbassery Airport and 30 to 35 kilometres from whichever area you would consider as the Cochin City Centre. If we consider the most significant landmark of recent times, Lulu Mall as the starting point, that should be 37 kilometres. The journey goes through Vyttila, Maradu, Aroor and taking a right turn a few kilometres after you reach Thuravoor and pass through Vayalar Railway Station. The sea & the lagoon, greenery around. We started at around four in the evening; well not really started, but pretended to start as the original journey will happen only a few minutes later. The journey is actually the worst around the area from Pulinchode Junction Alwaye to the Lulu Mall Edappally, which is why we took a left turn for the easier route with less traffic which turned out to be horrible as all the heavy vehicles took that route. But that was the only plan failure, as the rest of the journey was smooth enough even with a slower journey due to the existence of speed cameras. Even as the sun was strong, it was one of those cloudy days, and it helped. Nature & modernity comes together. 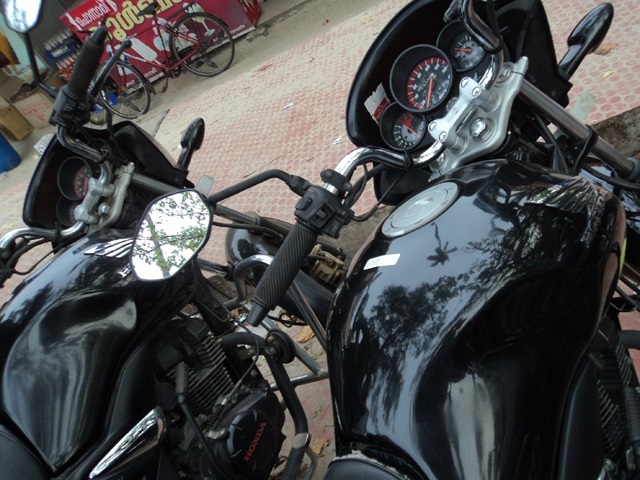 It is all about the journey on Honda, and that is the only two-wheeler brand which we would take for a journey – for we have owned seven or eight Honda vehicles so far and looking forward to more. The beauty of the journey comes when you take the right turn, and there begins a beautiful rural setting with lots of greenery, and special mention for that railway station which sits almost in the middle of the road, with parts of the train stopping in front of you and only a small part at the platform. Then there are the beautiful visuals on the sides, which has lots of water and in the absence of it, greenery, the water threatening to come up, being just one thumb length lower than the path. A walk through the beach with crabs. Then there is the bridge on the left which takes you to the Andhakaranazhy beach, and before you get on that bridge, you realize that you have seen it before. Yes, it is the same place which we had seen in the movie Idukki Gold from Aashiq Abu, starring Vijayaraghavan, Pratap Pothen, Raveendran, Babu Antony, Lal and Maniyanpilla Raju. I had noticed this place then too, and as I liked the movie enough, there was a certain need to find where this place was. The interest for the same suffered with the same director’s terrible venture called Gangster, but there was something about that shot of Andhakaranazhy. There is even a lighthouse, seemingly keeping the darkness away from the lagoon. It is indeed impossible not to take this shot. 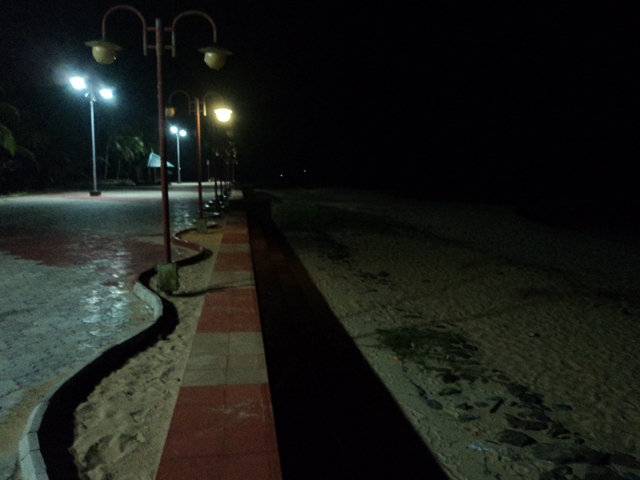 As we parked the bikes, there was the huge entrance to the beach, but as usual, we chose another path to enter. The beach was actually very crowded, at around five fourty five on the evening and only managed to have more rush as time passed. There were kids playing cricket and soccer, along with a deserted volleyball court. People seemed to be more confident than ever, venturing quite a lot into the water. There were some fishing boats around, the non-mechanized versions. Strangely, the only creatures around there were black cats and black dogs (contributing to the dark name), and then came the crabs of different sizes threatening to say hello to our legs. If this is not beauty, what is it? Despite the occasional attack of the dark clouds, the sunset was pretty much a beautiful thing to watch, and its reflection often outdid the same. The rain threatened to attack, but never really got its troops together. Then there was the beauty of the lagoon which came up with incomparable serenity. It had the sands and sea with the sunset sky on one side, and on the other side, it had the silhouettes of the thin trees which raised their heads to the dark clouds. There were small restaurants and tea shops and there we had cardamom/elaichi tea and finished the journey which was extended to more tea at Indian Coffee House on the way back. Well, when it was dark enough, we agreed to the name of the place. All the good things begin & end with tea. @My favourite beaches, Kerala, India. In the last few years, I have visited too many beaches in Kerala, and it is no surprise because the state has a long coast line compared to its total size. Most of the roads which we took were through the coastal areas too. The two places that come to the mind when talking about the same are the Kovalam beach and the Shankumugham Beach which I visited during my childhood, but due to the memories being mostly replaced, I would give them honorary status like the Great Pyramids has among the Wonders of the World and proceed to share something about my favourite beaches of Kerala, all of which I have visited in the last three years, a journey beginning and ending at Kollam Beach. *^*Just my personal favourites; do not ponder over it. This is a place of high historical significance, as Vasco Da Gama landed here in 1498 and began an age of colonization which was to follow and to be taken over by the British. 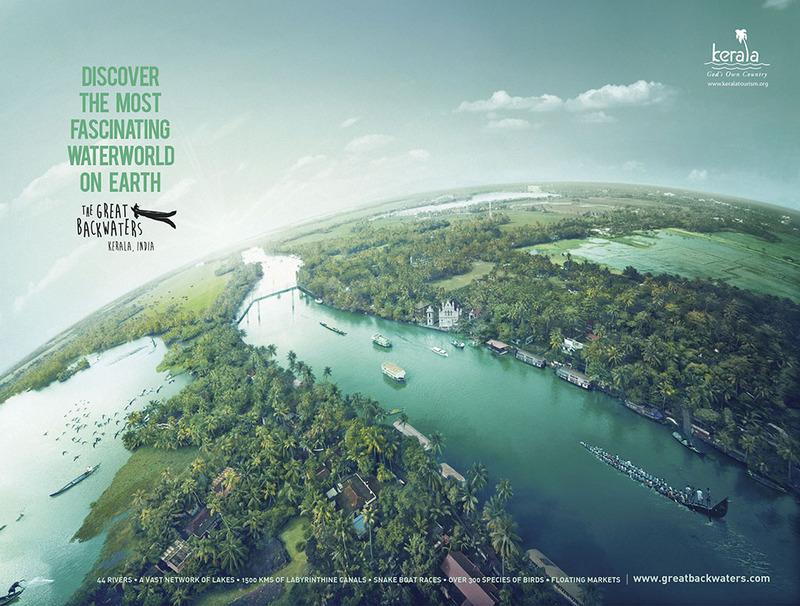 A new trade route from Europe to India was established in this part of Kerala which was to change the way in which Indian history was to be shaped later on. The beach is a nice little place, with not too much crowd, and there was a lot of developments going on there when we visited, and this is going to be a pretty nice place the next time we visit. 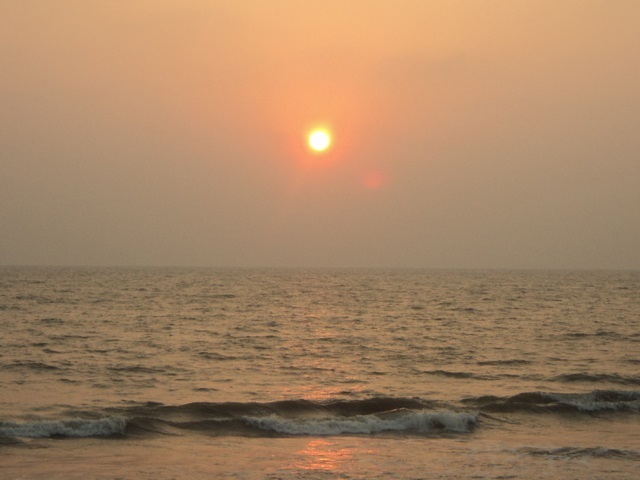 A sunset at Calicut Beach. 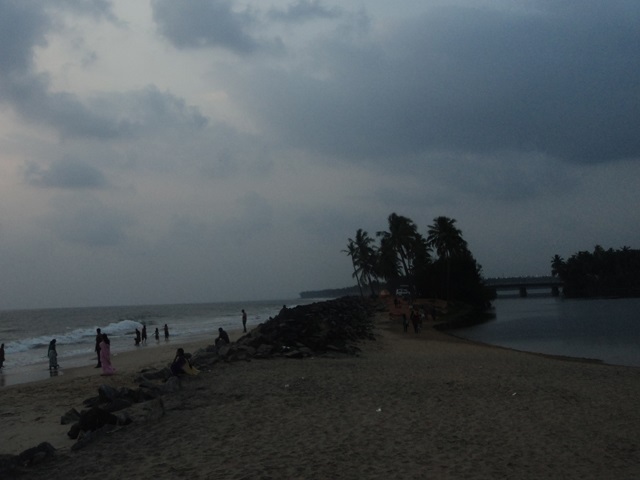 The Kozhikode Beach is a nice place in the heart of the city and is blessed by statues and remains of piers giving it a rather historical look. It has successfully joined the beauty of nature with the rush and modernity of the city and provides the visitors with a nice experience as it remains crowded. 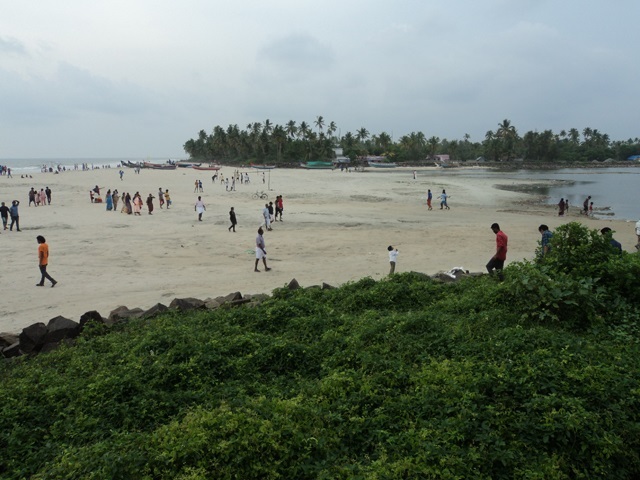 There would be no reason why one goes through the city and not take a look at this beach which is well maintained and is expected to be even further developed – this is the beach I visited earliest, among the beaches in this list and I feel that a lot have changed about this one. 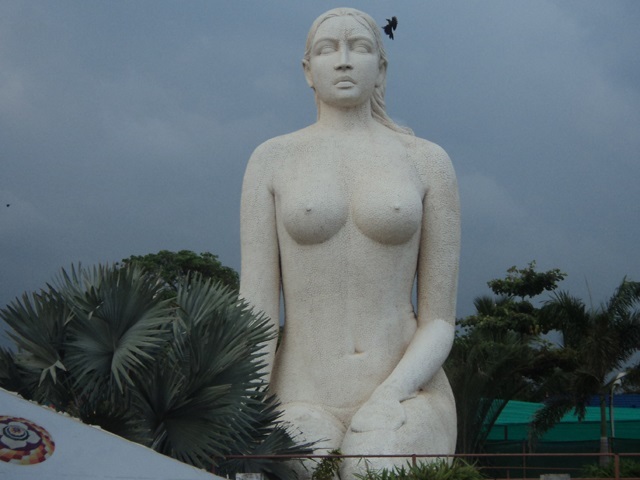 The mermaid (jalakanyaka) statue at Kollam beach. Known to many people as the Kollam Beach as well as the Mahatma Gandhi Beach, this is a wonderful location close to the heart of the city. 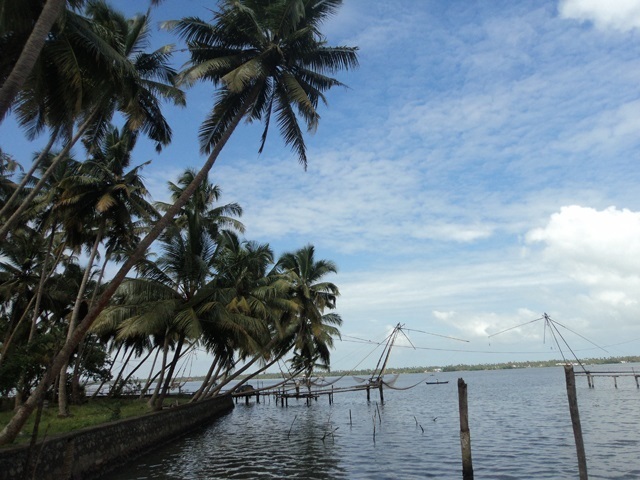 Quilon has the history of being a very important seaport in the past, and is still the second largest port in Kerala after the Queen of the Arabian Sea, Cochin. We can regularly see large ships moving around in the sea if we spend enough time at the beach. There is a lighthouse and the ruins of historical forts which form the mementos of European rule which existed there. The sea on the left and the lake on the right. 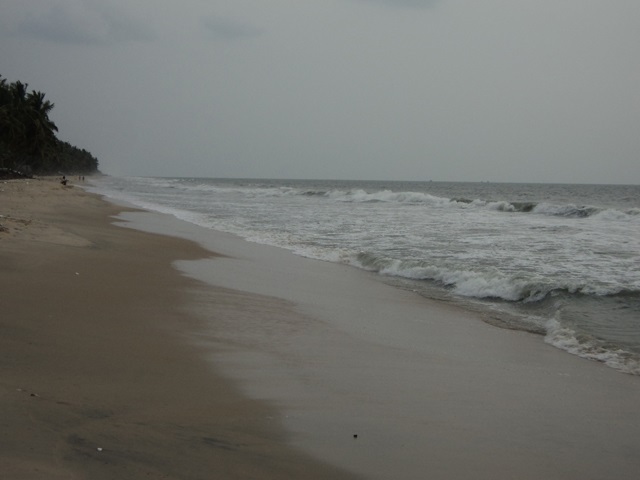 There are only a few beaches which can boast of having an identity different from the rest, and that too without being huge or without having any structure or monument, but Kappil Beach achieves that. The beach begins from the side of the road and goes on to an area where the sea and the lake are separated by a small stretch of sand a part of which where we can drive through between the coconut trees. There, we see a beautiful green world on one side and the sunset on the other, with jelly fish near the water around our legs! Azhikode beach with its Chinese fishing nets. Located near Kodungallur, this is one of the lesser known beaches of the area, and we were glad to find it using the google maps, and let that not fool you because this is a beautiful beach with not much rush, and has a lot of areas to spend some lone time and also take photos. Known as the Azhikode-Munakkal beach, this has a big place in the history of Christianity in India, as Saint Thomas the Apostle is believed to have landed near this area. The first mosque in India is also not that far away from here. The parking is at the top, and so are the best viewpoints. Also known as the Papasanam Beach, this is a nice place with a difference, and it remains calm and peaceful despite the good number of visitors, including a lot of foreigners. Its unique geography makes sure that there are cliffs surrounding the beach, something not common in Central and South Kerala. You can have a look from the cliffs when eagles fly closer. There are water spouts and nice restaurants around the beach, and there is enough parking as long as you make sure you come early. This came as a pleasant surprise at that time. 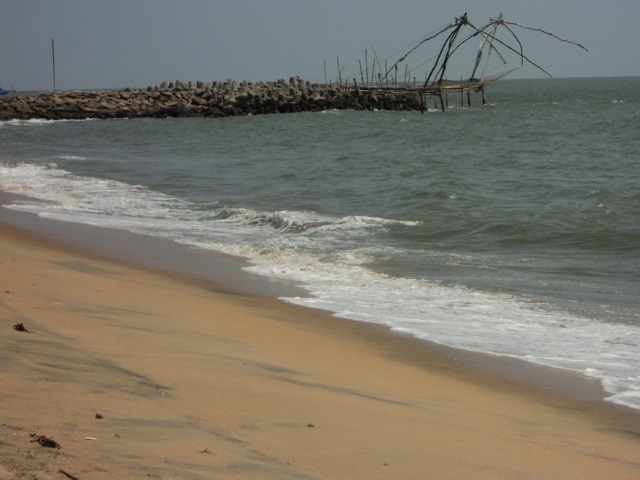 Payyambalam is a beautiful beach where we can see the lagoon being separated from the sea from many angles. 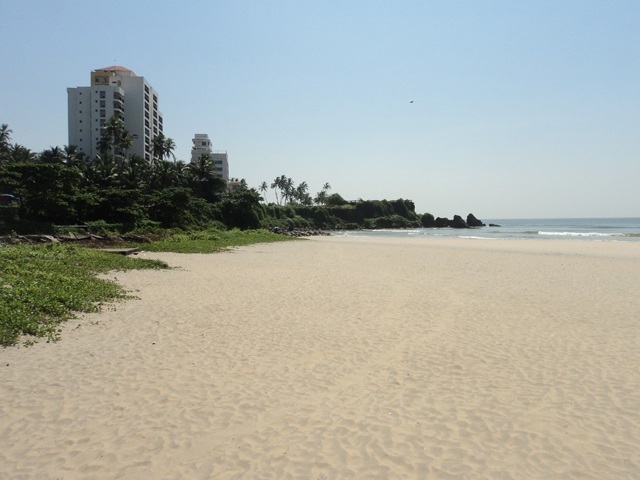 It is very close to the town of Kannur and is very clean. 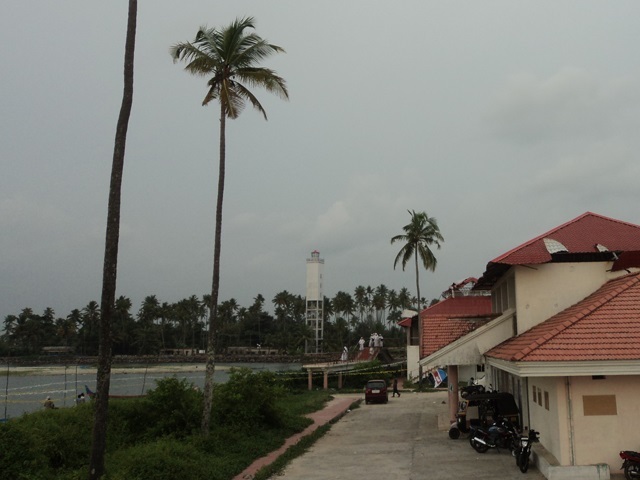 A number of Kerala’s prominent political and social leaders are also buried in an area at the beach including A.K. Gopalan, E.K. Nayanar, Sukumar Azhikode etc. You can also go to St. Angelo’s Fort, most commonly known as the Kannur Fort from there, a symbol of Portuguese dominance in that part of the country. 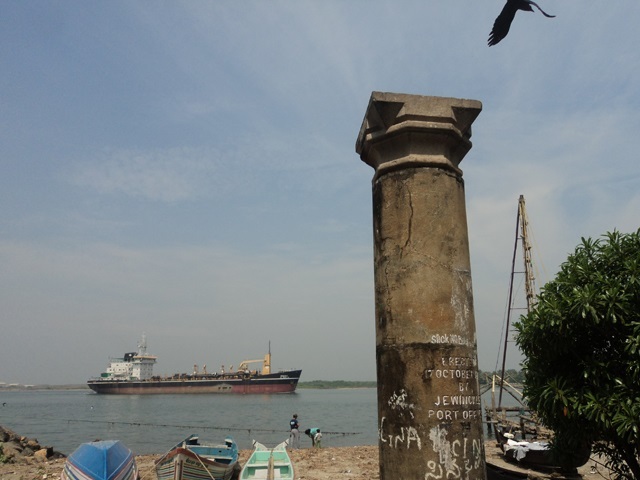 There is always something about Fort Cochin. 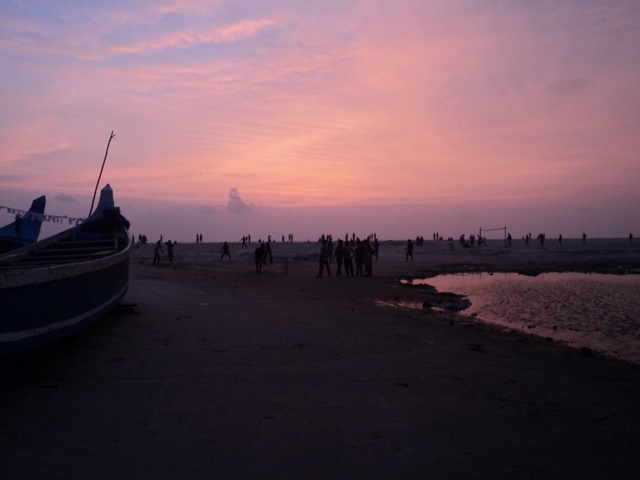 The beauty of Fort Kochi beach is more in its own identity rather than just the sands. 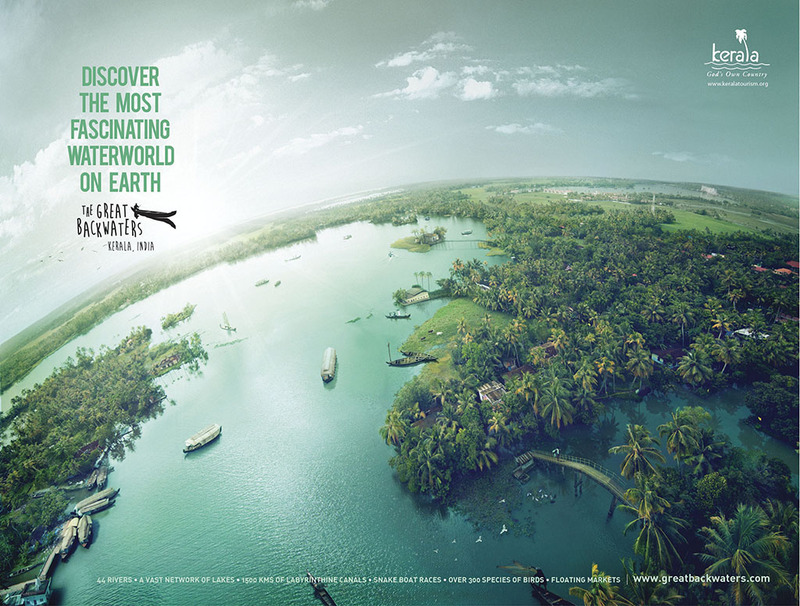 It lives in and breathes history like no other place in Kerala. There are lots of buildings which is of colonial architecture around the beach along with places of spirituality and religion, and the number of foreign tourists is enormous. I would suggest visiting the place during the next Kochi Biennale exhibition, and lets join the beauty of nature and historical monuments with art. You don’t always need to go to Goa or Pondicherry. 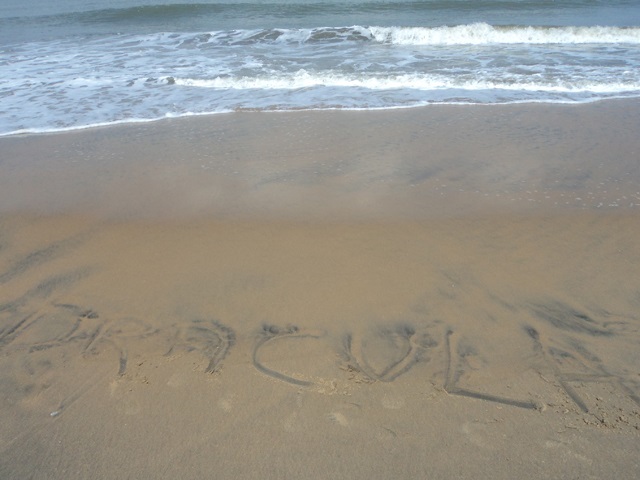 They wanted me to write down something on the sand. 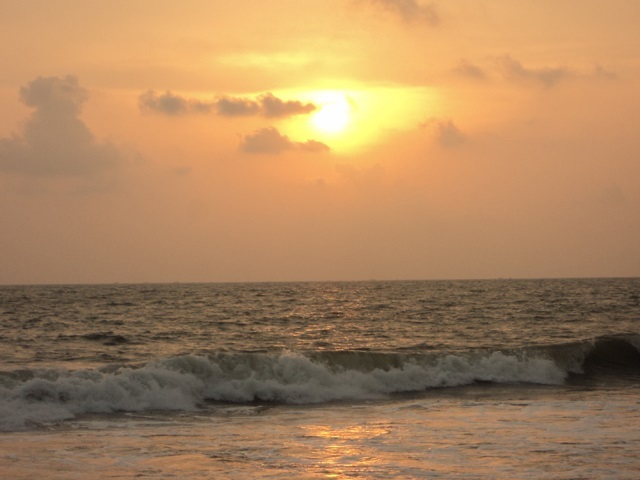 There are only a few beaches which can grow with the pace that Cherai has developed from just another sea-side to the most visited beach in Central Kerala. There is a lot of development still going on there, and it is a very long extending by road to what is called Munambam, which is rather another beach where one can see the river Periyar flowing into the Arabian Sea, surrounded by Chinese fishing nets, an inspiration for any poet or photographer deprived off ideas by modernity. The best beach is where the Beat goes. 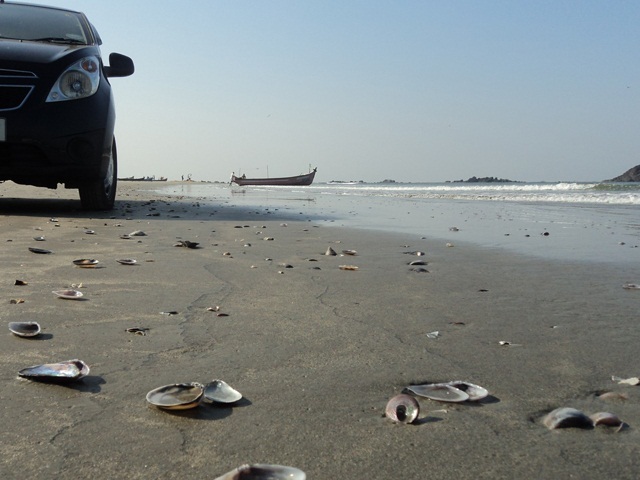 How can you not visit the largest drive-in beach in Asia? 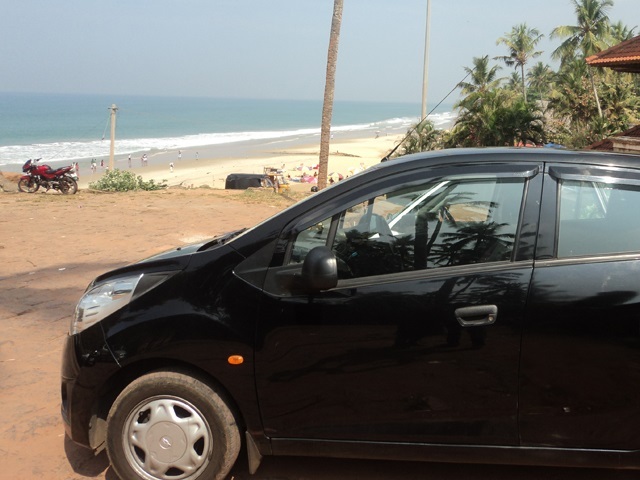 To be frank, I don’t know about any other beaches in India where you can drive this long on the sands. As we reach here through a small road surrounded by coconut trees which bows their heads towards the road and reach the nicely maintained beach which seems to stretch towards eternity, there is an unbelievable amount of happiness that we feel in our hearts. It is a lesser known destination, and it is going to develop a lot considering its potential. Other mentions: Puthuvype Beach (Ernakulam/Cochin), Snehatheeram Beach (Trichur), Aleppey Beach (Alappuzha), Munambam Beach (Ernakulam/Cochin), Chavakkad Beach (Trichur). This happened at one of those stores on the way back from Sheffield and so despite my intention to escape from the memories, this one stays. I can remember that my favourite childhood book was Dracula, and that love never really left me. There might be many things that might bring nostalgia for people, but mine is a horror novel. 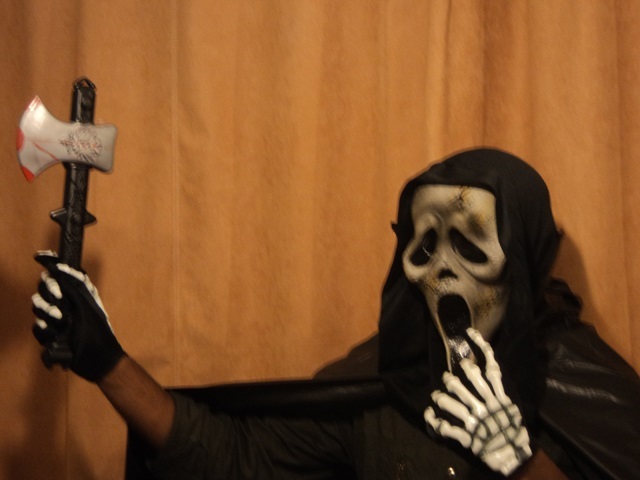 I was indeed looking forward to Halloween in UK at that time until I had to return home due to personal reasons. Declared “evil” by the common man! *Sigh* But my greatest treasure. Lot of people did ask about what I brought from UK, and it might have included a lot of chocolates, a small model of the Big Ben, pamphlets, photos and post cards, but there was nothing more valuable than this one, for which I have my cousin brother to thank (there is only one in England, so no confusion about that). This Halloween gift was not a dream come true for me, but a beautiful nightmare taking me on an undead journey. Now, an early return didn’t stop me. 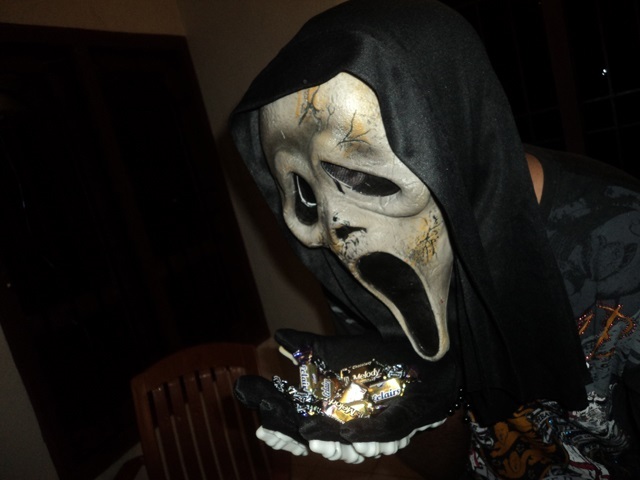 We celebrated Halloween in our own way, as we printed notices about the festival and distributed them to make people aware of it, and on that night, with trick-or-treating, collected the old clothes and money to give them to the orphanages and old age homes. I don’t know what general impression people have about Halloween, but it is indeed a hallowed day as long we can keep it that way, and we have to do something which gives blessings in abundance. Is that my mouth or jaw? Where is the tongue? The final pose in England! There have only been a few festivals that I ever cared for. I have been basically against all celebrations. May be the only celebration worth having was actually Halloween. I have never felt that any other festival was more kaleidoscopic than Halloween in all its darkness and the reminder of the other world; nothing more or less chaotic had so much order in it, and there was nothing so close to the harsh realities of life as the magnificent October 31. 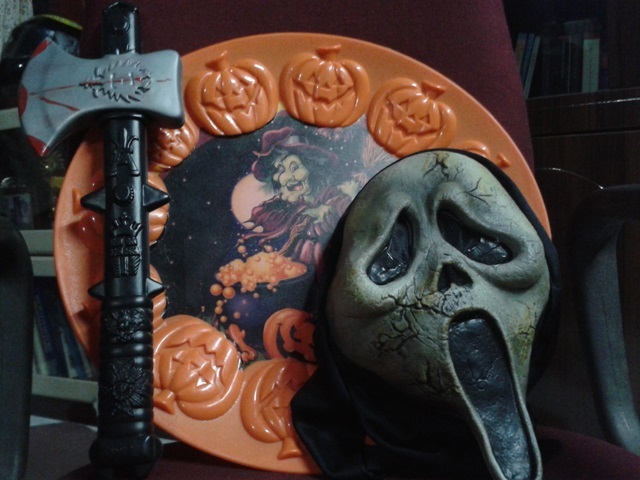 There was no other day that I enjoyed more than a Halloween night, and what makes this souvenir special is that Ghostface. Not to forget the hatchet, skeleton arms, vampire cloak, witch plate and all the horror novels which I carried all the way to India from England. There are the treasures that crossed the seas with me. This post is my entry for the ‘My Most Memorable Memento’ contest conducted by My Yatra Diary travel blog and Indian Coupons. Happy New Year everyone. The WordPress.com stats helper vampire bats prepared a 2013 annual report for this blog. *This might rather be the last post before this blog go into hibernation, except for may be the yearly summary update. *Not that much of an external journey – be warned. “The Truth shall make you free”, said the motto of my college, which is rather the former college for me now. The distance from being a student to becoming a former student is much shorter than I had expected. The question about truth making one free stays alive, but one would wonder if it comes as part of “Travel Diaries: Of this world and beyond”? The answer would be yes, as I travelled every day from home to college in a car, and every time a Chevrolet Beat is involved, it is more or less a journey, and there is also no less scope for an exploration. Another thing is that UCC, our own Union Christian College looked different almost every day, as if it is a new place each time one takes a look around and captures a few snaps. That makes one new journey on each week day for the last two years, and living an experience each and every morning, and in my case, as early as eight fifteen in the morning only being as late as eight fourty five maximum – extending from three thirty to four fourty five in the evening; often staying there longer than expected. But in simple words, this is no travel, no doubt. 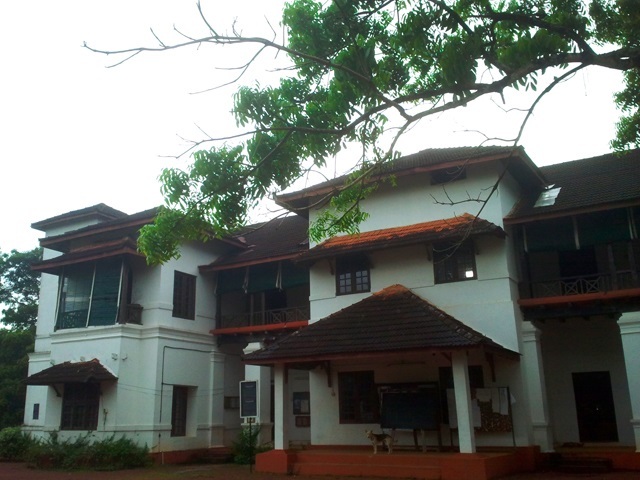 Known to the world as UC College Aluva, Union Christian College’s inception goes back to 1921, as an inter-denominational creation from four of the Kerala Christian denominations, Church of South India, Malankara Orthodox Syrian Church, Mar Thoma Syrian Church, and Malankara Jacobite Syrian Church. It is not that far away from the river of Periyar and only about four kilometres from the town of Alwaye. The place which was visited by Mahatma Gandhi in 1925, and being blessed by him planting a mango tree, might be one of the most well-known colleges in the district, if not the state. There is that joy which surrounds a student when he tells the name of his college and only good things are heard about the same. It is indeed prestigious to be a student of the college, as there is that wonderful reputation that creates an invisible aura around it, and studying there for post graduation is one of those things which could be explained through a poem, but I am rather weak and drained and taken further away from the creativity by the void, the nothingness that has taken over after getting the Transfer Certificate from there, and staying at home doing nothing that fills the soul. The arrival of the results further increases the strength of that void which seems to have been surrounded by a black hole. There is no question about the fact that this void is self-created. It is a result of not doing enough, not only now, but also when I was there, amplifying that feeling of loss which has pervaded through the conscience of my soul and asks myself if I have done enough. I have never really studied, and that is only one of those things. The first class that I gained and indirectly mentioned in my Facebook status message is not really of me putting anything into learning. I haven’t worked hard, for I have never been a hard working person. I used to find it a crime not knowing answers to questions, but ever since Mathematics started boring me from my school days, I stopped searching for answers. I found that I can have no answers and still exist as long as I can work well with languages. I could create and modify the worlds which I have created and maintained, rather than keep a giant planet in my head – was fair enough. Thank You Lord, for pointing me to the right direction, and my determination to do MA English was as much a surprise to myself as getting the admission, and for that there is pure divine intervention. Otherwise, who would wish to admit someone who can’t use what he knows when it matters the most? I have carried over this idea with me, even in the absence of Mathematics. Maths, my dearest enemy from the depths of hell, you are not the first one who hated me and surely not the last one. When the classes started, Doctor Faustus, Paradise Lost and The Pilgrim’s Progress were set against the replacements for Mathematics, the theories of Rasa and Dhvani, Seven Types of Ambiguity and Biographia Literaria. There is the concept of good and evil, and even in the absence of Mathematics and also Physics, something had to take over the role of bad guys. As time progressed and the course was coming to the end, the number of bad guys just increased, and the last semester was full of such people, as even the viva examiners seemed to align with the bad guys. Existentialism, absurdism and post-colonialism are not the best things to read, and with Film theories, plus what books like In an Antique Land and Midnight’s Children already achieved in the earlier semester, the whole interest comes down like a dead dinosaur from the top of a mountain. It is also nothing less of a boulevard of lost opportunities, and the fact that you didn’t study is just one of them. Despite performing fine in inter-college quiz competitions, what bothers one the most is what kind of use it is for your knowledge when there are a lot of questions for which you know the answer, but just can’t get to say it; and it disappoints more than those questions which you don’t know the answer and also those questions which are too easy and right from the text books. What is the meaning of knowing and still can’t use the knowledge when needed? The loss of answers when in pressure haunts like Freddy Krueger, and its mightmares are as big as any other opportunities you waste as well as the time you send down the drain. 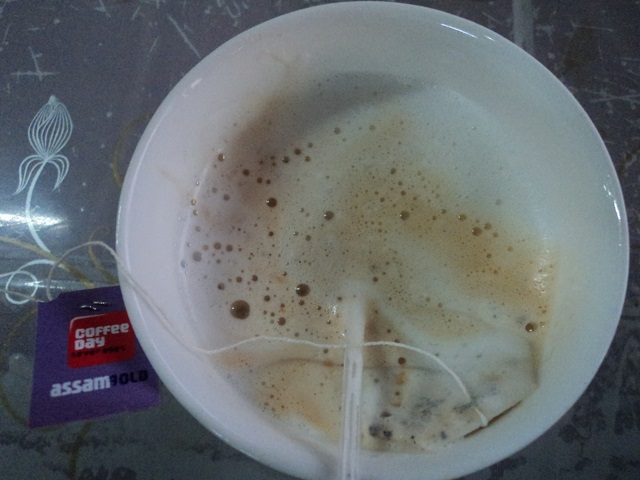 The only saviour is the tea, and I am boosted by it regularly from the college canteen. It is a further disaster when you are the pheonix who rises from the ashes, and yet can’t get rid of those ashes completely, and there is so much of them that it affects your flying, and you would rather think that you stay on the ground. Still, haven’t you earned enough from being in a college which was the only right place for you to be? Despite everything that you missed due to your own fault, there were two good years of glory even if happiness was not something you carried over? Well, I wouldn’t have felt better if I was anywhere else – this was the first choice for me during the time of centralized allotment, and I got the admission in the first allotment itself. Anywhere else wouldn’t have been more suitable for me, as I would have struggled to keep myself going. The case of UC is rather perfect for someone like me, who doesn’t want to live my life in those text books and studying only what is attained from the class. UC had a charm which is powered by nature as well as the wonderful teachers of the English department. If I would have been anywhere else, I suspect that I could have even known about my existence, but here in the English department, I lived. And about my marks, I have got exactly what I wanted, and for my lack of focus, determination and hope, and supported by that plague of pessimism, I have got enough, and anything more would make me feel that people can read my handwriting.